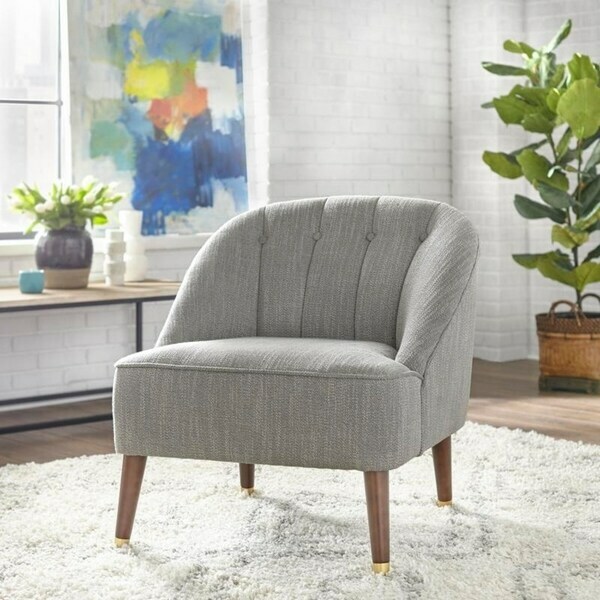 Complement your sofa or window seat with this accent chair. This chair's vertical channel tufting and turned wooden legs give it mid-century modern appeal, while the deeply padded seat and back offer comfortable support. Dimensions 29.9 In. X 29.9 In. X 31.0 In.